Celebrate the special occasions that made you smile this holiday with this Barbie Holiday 2018 Doll! This magical doll is adorned with a festive red multi-tiered gown combined with a bold necklace and dangling earrings. 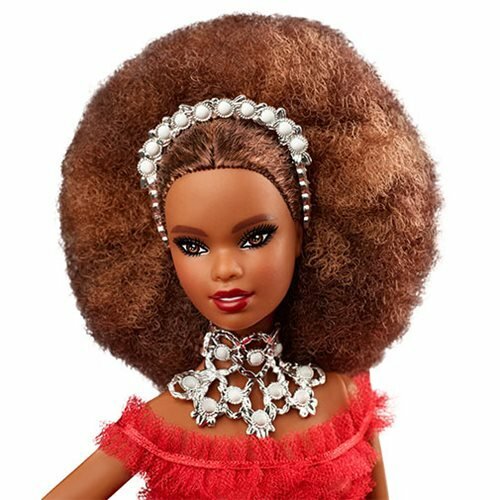 This Barbie Holiday 2018 African American Doll is the perfect keepsake this holiday. Ages 14 and up.